H0 Lenses in COSMOGRAIL's Wellspring. We measure the current expansion rate of the Universe using time-delay cosmography. 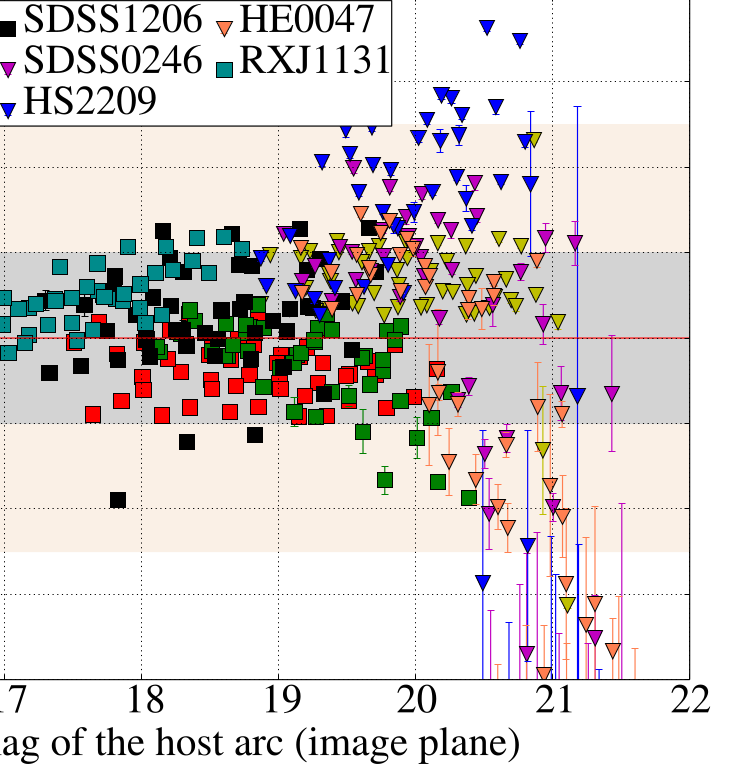 The H0LiCOW collaboration has revealed its measurement of the Hubble constant H0 from its blind analysis of four multiply-imaged quasar systems through strong gravitational lensing: H0 = 72.5 +2.1−2.3 km/s/Mpc, at 3% precision, in the standard flat ΛCDM model. This measurement is completely independent of, and in agreement with, the local distance ladder measurements of H0. On the other hand, it is higher than the most recent Cosmic Microwave Background predictions in flat-ΛCDM, as well as galaxy clustering combined to weak lensing, potentially pointing towards new physics beyond the predictions of the standard cosmological model. 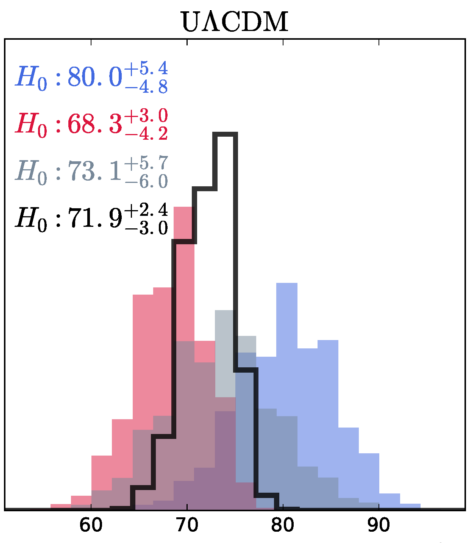 Since the value measured from the SH0ES project using Cepheids and Supernovae is completely independent of the H0LiCOW value, both can be combined into a single measurement of the Hubble Constant in the Local Universe. This new combined value is 4.2σ higher than the most recent CMB prediction from the Planck satellite and 3.4σ than the galaxy clustering and weak lensing measurement from the DES collaboration. You can reproduce the H0LiCOW results in flat-LCDM following the notebook available here. "Seeing double could help resolve dispute about how fast the universe is expanding; the question has been bugging astronomers for almost a century. Different studies keep coming up with different answers — which has some researchers wondering if they’ve overlooked a key mechanism in the machinery that drives the cosmos. At the heart of the dispute is the Hubble constant..."
"By using galaxies as giant gravitational lenses, an international group of astronomers using the NASA/ESA Hubble Space Telescope have made an independent measurement of how fast the Universe is expanding. 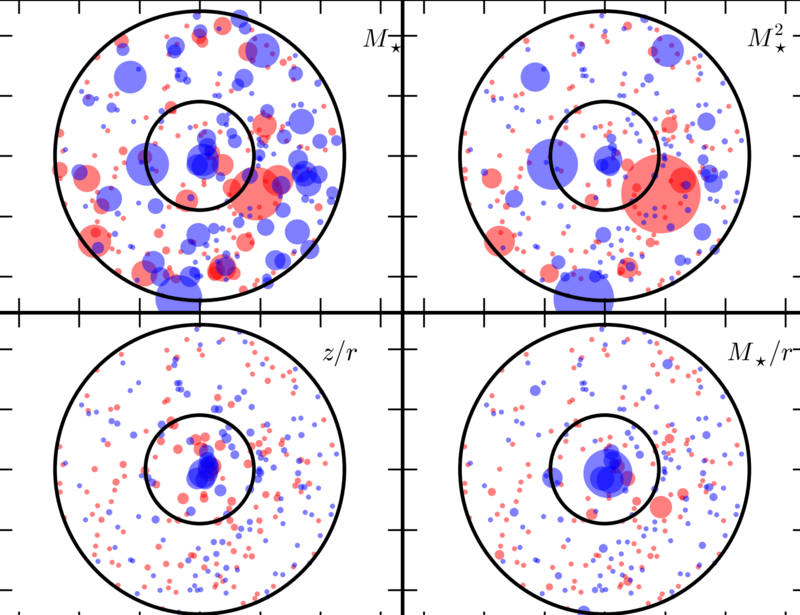 The newly measured expansion rate for the local Universe is consistent with earlier findings. These are, however, in intriguing disagreement with measurements of the early Universe. This hints at a fundamental problem at the very heart of our understanding of the cosmos..."
H0LiCOW I. H0 Lenses in COSMOGRAIL’s Wellspring: Program Overview. H0LiCOW II. Spectroscopic survey and galaxy-group identification of the strong gravitational lens system HE0435−1223. H0LiCOW III. Quantifying the effect of mass along the line of sight to the gravitational lens HE0435−1223 through weighted galaxy counts. H0LiCOW IV. Lens mass model of HE0435−1223 and blind measurement of its time-delay distance for cosmology. H0LiCOW V. New COSMOGRAIL time delays of HE0435−1223: H0 to 3.8% precision from strong lensing in a flat ΛCDM model. H0LiCOW VI. 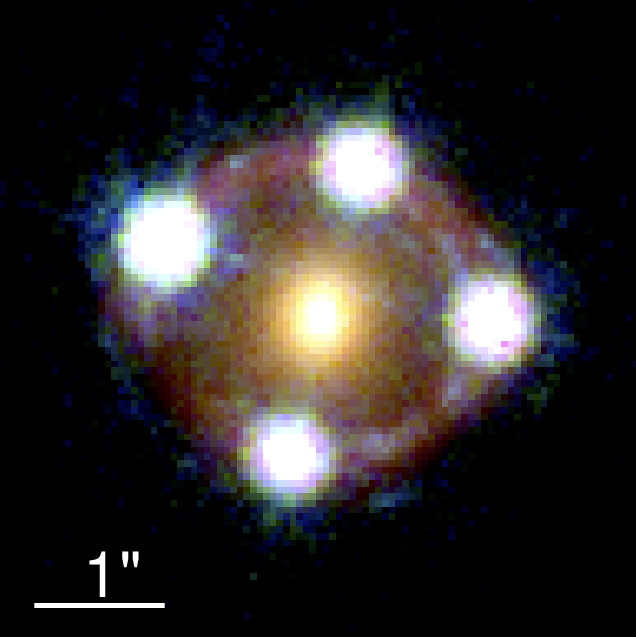 Testing the fidelity of lensed quasar host galaxy reconstruction. H0LiCOW VII. 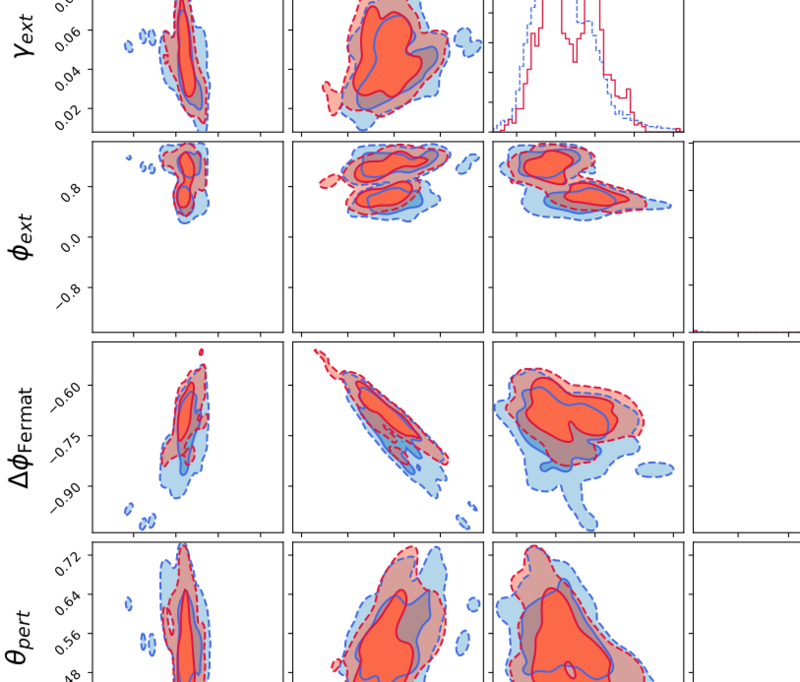 Cosmic evolution of the correlation between black hole mass and host galaxy luminosity. H0LiCOW VIII. 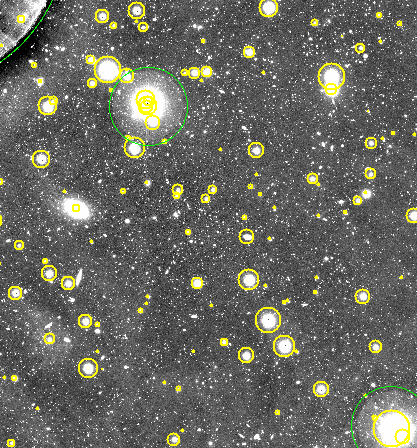 Weak lensing mass reconstruction of HE0435-1223. We present a weak gravitational lensing measurement of the external convergence along the line of sight to the quadruply lensed quasar HE0435-1223. Using deep r-band images from Subaru-Suprime-Cam we observe galaxies down to a 3 sigmas limiting magnitude of ~26 mags resulting in a source galaxy density of 14 galaxies per square arcmin after redshift-based cuts. 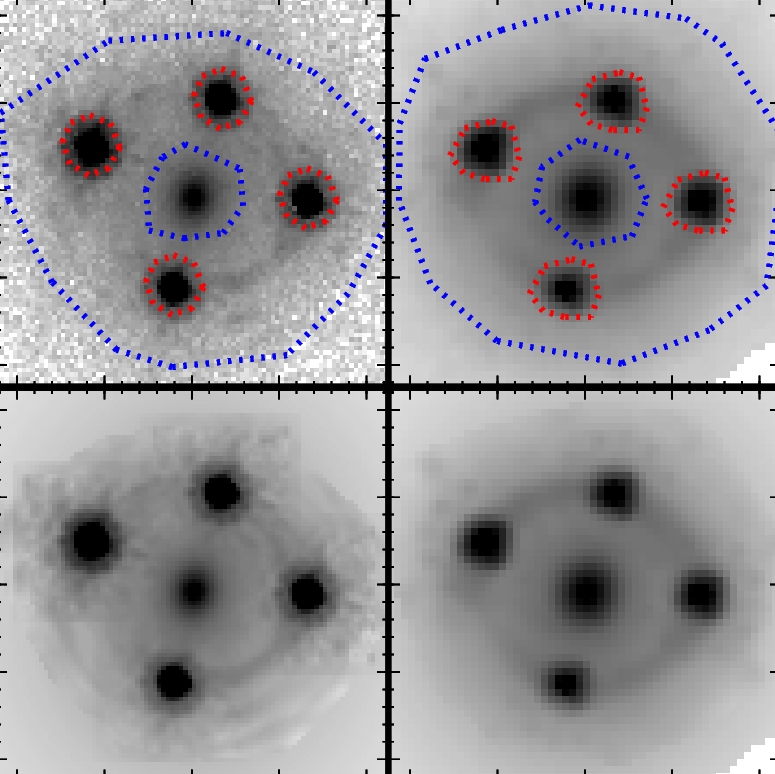 Using an inpainting technique and Multi-Scale Entropy filtering algorithm, we find that the region in close proximity to the lens has an estimated external convergence of κext = -0.012 +0.020-0.013 and is hence marginally under-dense. We also rule out the presence of any halo with a mass greater than Mvir=1.6 x 1014 1/h MSol (68% confidence limit). 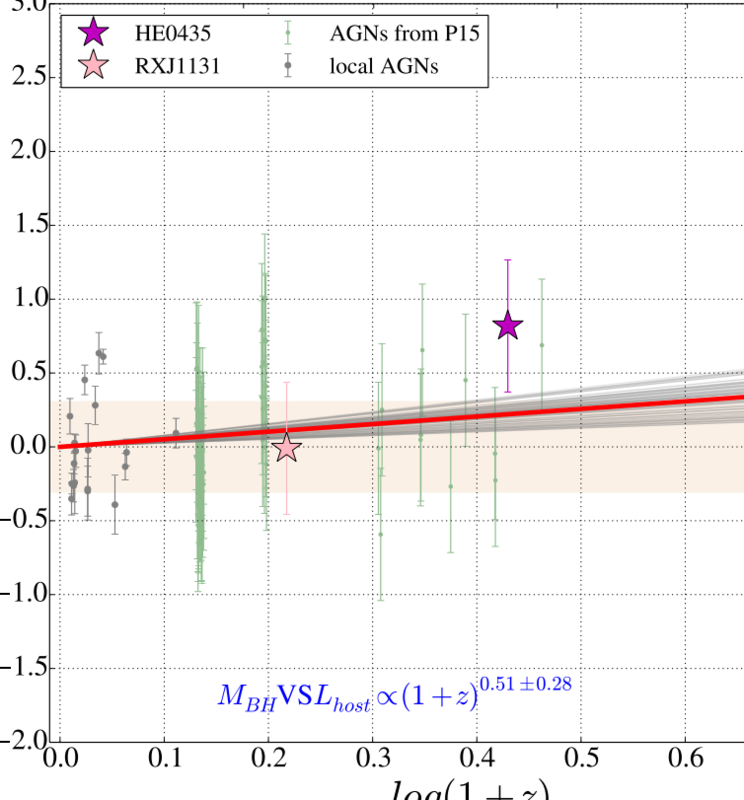 Our results, consistent with previous studies of this lens, confirm that the intervening mass along the line of sight to HE0435-1223 does not affect significantly the cosmological results inferred from the time delay measurements of that specific object. H0LiCOW IX. Cosmographic analysis of the doubly imaged quasar SDSS 1206+4332 and a new measurement of the Hubble constant. 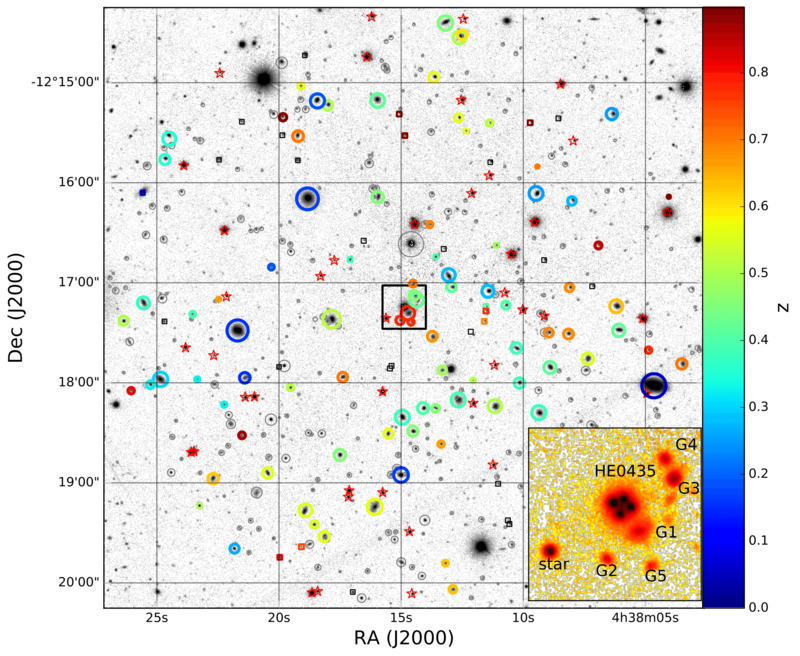 Paper II provides a catalog of all spectroscopically identified targets in the field of view of HE0435-1223, as well as 1-D spectra for targets observed with the VLT, Gemini and Keck telescopes. Those data are available as a single tar.gz file. Paper III provides a catalogue of all galaxies down to i<24 mag within a 2 arcmin radius around HE0435-1223. It contains positions, magnitudes, photometric redshifts, stellar and halo masses. Paper V presents the 13-years optical light curves of HE0435-1223, as well as mock light curves created with PyCS in order to estimate the error on the time-delay measurement. Both can be downloaded here. Paper IX combines four lenses in a flat ΛCDM. The posterior distributions of the angular diameter distances of the lens system J1206+4332 can be downloaded here. The H0 predictions from these posteriors, combined to the three other lenses already analysed by the H0LiCOW collaboration can be obtained following our notebook. 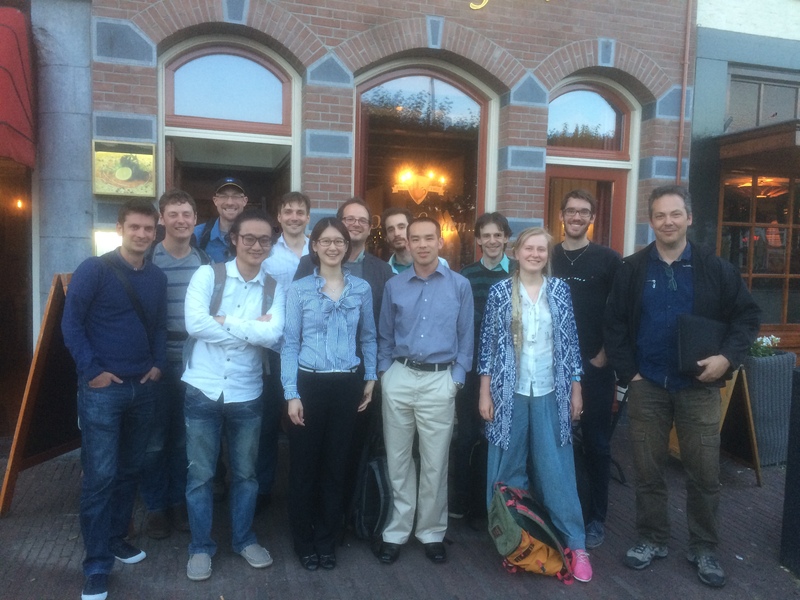 A fine bunch of H0LiCOWers in Leiden for the GravLens 2016 meeting. From left to right: Alessandro, Tom, Chris, Chih-Fan, Stefan, Sherry, Tommaso, Adri, Ken, Dominique, Olga, Vivien and Fred. Is there anything you want to tell us? Do not hesitate to get in touch! Sherry is the PI of H0LiCOW, and the lead author of Paper I.